Click this link for a printable coupon Offer expires 8/20/10 http://tinyurl.com/258jtkh Pls RT! Thank you OC Deals for this tip! Sat: 2nd Annual Korean BBQ Cookoff in LA, $5 a plate! Click here for a printable coupon Print this coupon and bring it to the Sephora counter inside any JCPenny to get a free Deluxe Sample of Deluxe Benefit’s Crescent Row Fragrance. Exp. 8/31/10 Thanks Free Freebies for the info!http://tinyurl.com/258jtkh Pls RT! Starting Sunday, August 8 go to CVS and get $3 ExtraBucks* back on 4 Coke or Diet Coke 12-packs! That’s like 4/$10 or $2.50 per 12pk! Click here for more information. You must have a CVS card to get this deal. The card is free, just ask the cashier to sign up. 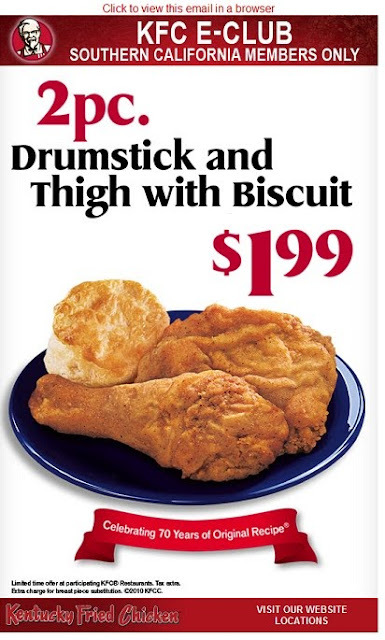 Thanks CVS for tweeting this great deal! ALL ROLLING ROADSHOW 2010 EVENTS ARE FREE AND OPEN TO THE PUBLIC! Seating is not provided, so please bring your blankets or camping chairs to this event. 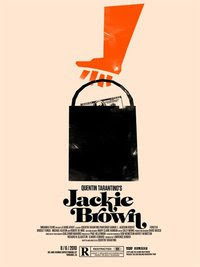 To properly celebrate JACKIE BROWN, we'll be joining the director and stars (schedules permitting) in the shadow of LAX, where Pam Grier's flight attendant gets busted by the ATF, kick-starting the high stakes game of double-cross and intrigue. Vintage 35mm trailers (influences of Jackie Brown) will screen before the film. Alamo Drafthouse and the Levi's® brand present the 2010 Rolling Roadshow, a nationwide tour of free outdoor 35mm screening experiences pairing famous films with the famous locations where they were shot or set. This year, Alamo Drafthouse and Levi's® have partnered to champion some of cinema's most celebrated workers. Click here to get your free pedometer! Your Life® Multi Adult Gummies are a delicious way to get the nutrients your body needs*Packed with adult nutrition! Click here for a printable view. Click here to see more fun from the city of Tustin’s parks and rec department Thank you OC Deals for the information!! Free sample of Post-it® Super Sticky Notes! Post-it® Super Sticky Notes, hold stronger and longer, yet remove cleanly. Don't believe us? Take the challenge and try them for yourself! Just fill in the form below and hit “submit,” and we’ll send you some. Click here for the offer. Thanks Frugal Girls for the headsup! Click here for a $1 coupon for retail use. Harrah's Casino in Rincon (near San Diego) is giving a free 12-pack of Pepsi or diet Pepsi every Thursday in August. Pick up your free Pepsi or Diet Pepsi 12-pack from 4pm-9pm in the Pavilion and be entered into the Pepsi Days Drawings! Every 30-minutes from 4:30pm-9pm, 3 winners will receive tickets to see San Diego's favorite baseball team. At 9:30pm, 1 lucky winner will receive a luxury day at San Diego's favorite big league ballpark. See the Total Rewards Center for complete rules & details. UPCOMING DATESPepsi Days - Thursday, Aug. 5 Pepsi Days - Thursday, Aug. 12 Pepsi Days - Thursday, Aug. 19 Pepsi Days - Thursday, Aug. 26 http://tinyurl.com/258jtkh Pls RT! Offer expires August 8. Click here for a printable coupon. Thanks FrugalGirls for the headsup! Cirque Du Soleil is offering their "CirqueClub" members discounted tickets to the Las Vegas shows this summer. Tickets start as low as $50. Membership is free, and you also get special offer emails for their touring shows, with deep discounts as much as 40% off! 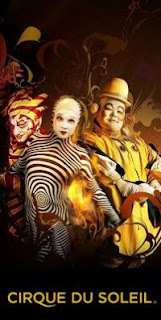 Click here for the link to the CirqueClub discount tickets. Seat upgrade voucher: If you have purchased tickets for a "Touring" show (ie: not Vegas, NYC, or DisneyWorld), you can bring this voucher for a seat upgrade, based on availability. Add a bit of Tommy Bahama flair to your home bar. 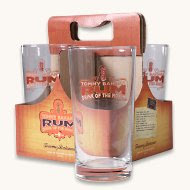 Printed with "Tommy Bahama Rum Drink of the Month," these glasses are the perfect vessels in which to showcase your drink-slinging skills. Set of fourFind a favorite new drink recipe20 fl. oz. capacity*Offer valid until 11:59pm (PT) Tuesday, August 3rd, 2010.Valid only at tommybahama.com. Not valid at Tommy Bahama stores, Tommy Bahama Outlets, Tommy Bahama Restaurant & Bars and Tommy Bahama’s Island Grille. This offer cannot be applied to previous purchases and cannot be combined with any other offer. Sales tax and shipping are not included. Offer subject to availability while supplies last. Offer subject to change without notice. Offer void where prohibited. Here is a not-so-secret special at the Hard Rock Cafe in Las Vegas. Visit the Mr. Lucky's 24/7 Cafe and get the $7.77 steak and shrimp special. It is supposed to come with (or at least the website says) an 8-ounce flat iron sirloin steak, three jumbo shrimps, salad, garlic mashed potatoes and a roll.. for $7.77. Loosen your belt and get a "Buffet of Buffets" day pass, then let loose and enjoy all day access to seven of the most spectacular buffets in the city, starting from $39.99*. This offer is valid only at Harrahs property casinos. Begin at Le Village Buffet inside Paris or Planet Hollywood's Spice Market Buffet, then take in Flamingo's Paradise Garden Buffet, Flavors, The Buffet at Harrah's, Lago Buffet at Caesars Palace or the Emperor's Buffet at Imperial Palace. Yes, the Buffet of Buffets pass includes the world's most acclaimed buffet, Rio's Carnival World Buffet (get there early)! Visit the cashier of any of the seven participating buffets, and inquire about the "Buffet of Buffets" pass, and you're on your way to buffet heaven! WANT TO MAXIMIZE YOUR BUFFET DOLLAR? Check out this game plan! Start with a moderate time dinner (say 7:00 pm). Offer begins August 4th. Click here for more information. Thanks Diningoutcheap for the heads up! Bruce Machart's hauntingly atmospheric debut of the hardscrabble life in early 20th Century Texas is unforgettable and unputdownable -- an ideal addition to the First Look Book Club. You will receive a free advance reading copy and access to the discussion with the author. The ARCs will mail soon and the discussion will begin on September 6th. Here's how you can get some free Sobe: Starting 8/4 until 8/7, CVS is having a buy one, get one free sale on Sobe. Please note though thatsome CVS have stopped accepting buy one get one free coupons on sales. It's up to the store manager, so you may want to call ahead of time to see about your store. How do you get the BOGO Coupon?? Click the link below and play the game! The game is free! SoBe Instant Win Game: Win Free Drinks or More Click the link above to start the game. Then click on one of the characters sitting on the couch. After clicking on them, you’ll twist the bottle cap on the SoBe they’re holding and it will reveal if you’re a winner or a prize or the coupon. You can play every day. What is Fire+Ice? FiRE + iCE Grill + Bar is a smokin’ hot restaurant showcasing an incredible variety of fresh food, cooked on our open grill in a fun, refreshing atmosphere. We take the concept of having a meal your way to an unprecedented, exciting level, as you are in complete control of your meal’s journey. Select from a delectable array of fresh meats, seafood, vegetables, and pasta available in our in-house market place.